This time of year is always about celebration. Be it graduation, springtime or simply youth, May is a time of beauty and when prom is at hand you know you are going to see some beautiful people in beautiful locations. 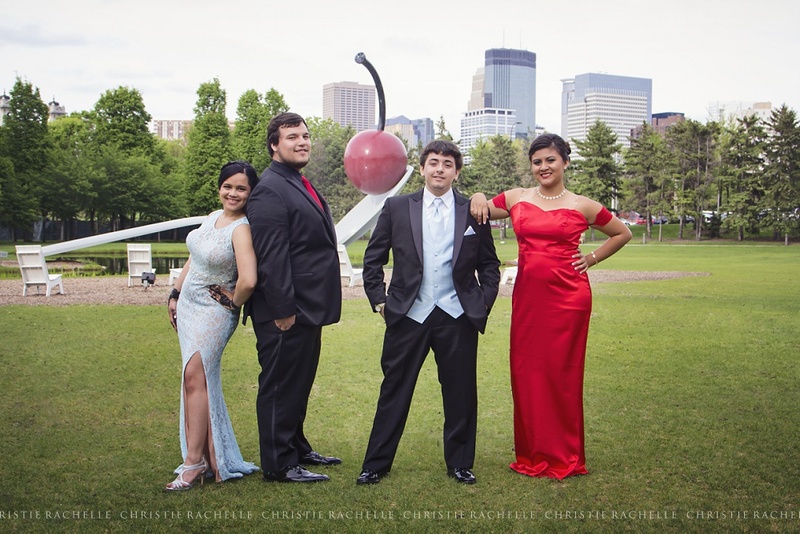 Bloomington Kennedy's prom brought these gorgeous couples to Walker's Sculpture Garden in Minneapolis. With personality and charm, these four teenagers were a delight to photograph and clearly well matched couples. To Joselyn, Dylan, Adrian & Brianna - I hope your evening matched how gloriously you looked!